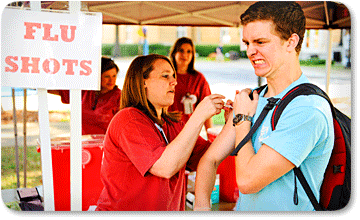 You are here: Home / nutrition / Better Odds: Russian Roulette or a Flu Shot? Better Odds: Russian Roulette or a Flu Shot? How are flu shots created? There are hundreds of different flu strains that circulate in our population. CDC officials decide on which 1 or 2 strains to include in the upcoming flu season’s vaccine. They pick the one or two they think will hit the following year, so the effectiveness of the flu shot ends up being wholly dependent on the educated “guesses” of health officials to choose the “right” influenza strains that circulate widely in any given year. EVEN if the officials picked the one or two correct strains to include in the vaccine, the CDC still has to hope that the strains won’t mutate. This is because once they mutate, the vaccine is completely ineffective. So what are the chances that you are still protected? 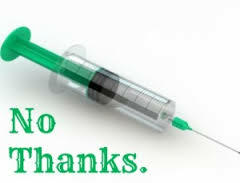 [pro_ad_display_adzone id=”8825″]In fact, experts claim that in a good year, the vaccines are about 7% effective1 at most. Meaning 82% of those who got the shot and thought they were protected were not. By January 2015 the flu was so widespread that the CDC had to make a statement to the effect that the strain of flu had mutated and it was not as effective as they had hoped. Influenza viruses are notorious for undergoing mutations. Yet, despite all of this, for the past several years, physicians in America have continued to insist that every child age 6 months to 18 years must get an annual flu shot. Your best bet against the flu is to keep your immune system as strong and resilient as possible by eating healthy, exercising, keeping a positive attitude, and getting sunshine and plenty of vitamin C.
But if you do happen to catch the flu, keep in mind that while getting the flu can be dangerous, especially if you are older of have a compromised immune system, most people recover on their own in less than 2 weeks.